Occupational Physician. Professor in the Central University of Venezuela (UCV). Member of the “International Commission on Occupational Health”. 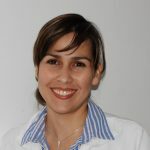 Coordinator of the Associate Venezuelan group for the Iberoamerican Cochrane Network at UCV. She has experience in consulting, research and in undergraduate and postgraduate occupational health education.